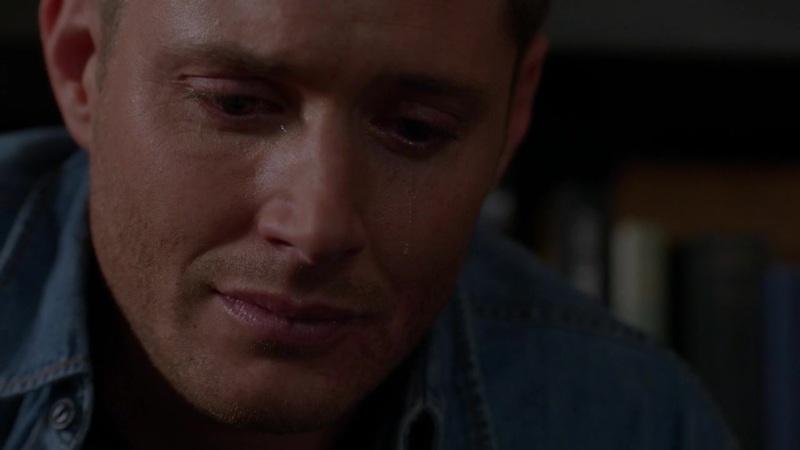 The mid-season finale of Supernatural has passed and fandom is still reeling from what happened. Characters taking unexpected turns, storylines going in new directions, and threads left hanging as we settle in for the long winter hiatus with our hearts hurting. Then again, it wouldn’t be Supernatural if there wasn’t pain involved. The prophet has died! No! 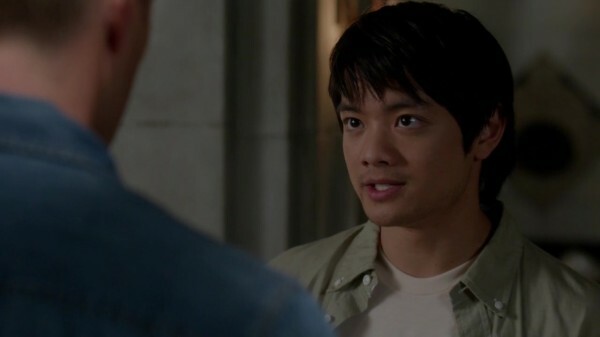 Kevin Tran has become a beloved part of the Supernatural family, as has the actor who plays him, Osric Chau. We have watched the character grow from a boy on the cusp of college, when his most pressing issue was maintaining his honor level grades, into a young man who carried the weight of the world upon his shoulders through torture and deprivation, but still came out on top. The loss of this character has hit us deeply, and to have it come at the hands of a possessed Sam makes it all the more horrible to comprehend. As the actor took his last bow on the screen, he tweeted a message to all the fans detailing how much we have meant to him, which is in line with how much he has meant to us. Kevin Tran will forever be remembered as we mourn the loss of yet another member of the extended Winchester family. The reason we lost Kevin, and the reason we are left reeling over the events of the episode, was the revelation of who is possessing Sam. Back when Dean made his deal, tricking his brother into letting Ezekiel in, I was suspicious of how it might turn out. Nothing in the Winchesters’ lives ever goes according to plan, so why should this be any different? And the fact that Zeke’s actions were growing more and more shady let the shadow of doubt grow longer. Why didn’t he want Cas around? Why was he making Sam weaker, instead of stronger? And how much manipulation would he maintain over Dean? My theory was that Zeke would overstay his welcome and Dean would be forced to eject him with violence, revealing what he had done to Cas and Kevin and possibly Sam in order to get them to help Dean set things right again. Well, not so much. He does try to reveal what happened to Sam, after finding out that Zeke wasn’t even in residence. Who was inside Sam? What had Dean done? And how could he set things right if the angel was jumping into consciousness whenever Dean got too close to confessing? The answer wasn’t something any of us was expecting. So, it’s not Zeke who has been taking over Sam’s body all these months. Instead, it’s Gadreel. Whereas Zeke was known as a good angel, someone who could help, Gadreel is essentially an escaped convict who is looking for forgiveness over the sin he committed all those millenia ago. Kudos to the show for continuing the Biblical mythology with angels that actually have a connection to the storyline rather than “their name sounds cool.” Gadreel was one of the chiefs in the fallen watcher angels, from the Book of Enoch, and is often cited in connection to Azazel for teaching man warfare. So, we’re utilizing Sam as the vessel for a fallen angel who is making penance, and also has ties to Azazel just as Sam has always had. But mythology aside, having Sam being possessed by an angel that is growing more powerful and more dangerous is not going to be good. Gadreel seemed surprised to hear that Metatron was the reason for his early release, yet he begins to trust him as the answer to a reformed Heaven. Even though he says it goes against his nature, he willingly killed a prophet because Metatron deemed it so. Who else is he going to take out just because the head angel passes him a note? And how can Dean win this fight anymore, considering how much power Gadreel now holds? We don’t even know how long Sam’s been out-to-lunch in terms of being unconscious. Has Gadreel been fooling us all along? Dean’s choice, to save his brother by any means necessary, is not a new one. 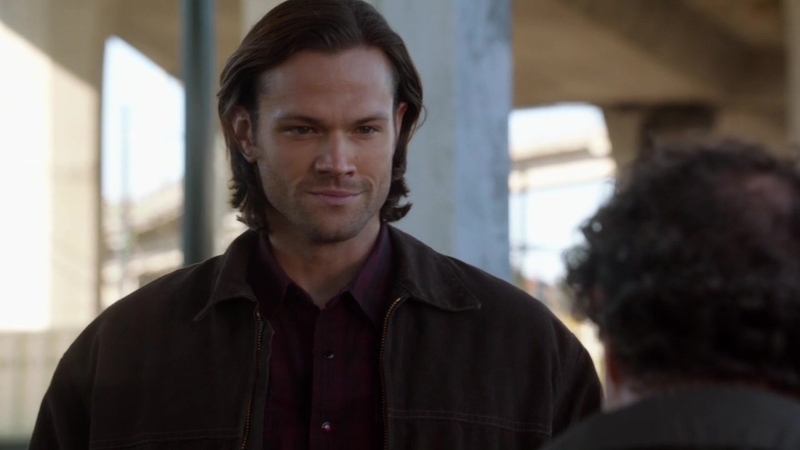 Dean will always choose Sam over everyone else, and he always condemns others because of that choice. 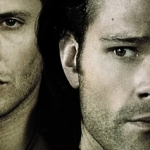 Now he’s got a brother who may be gone forever, and he’s forced to rely on Crowley of all people to help him get Sam back. The King of Hell manipulates his way to victory every single time, even when the odds are stacked against him. I hope he comes through on his promise and actually helps get Sam back because the alternative is too hard to fathom. 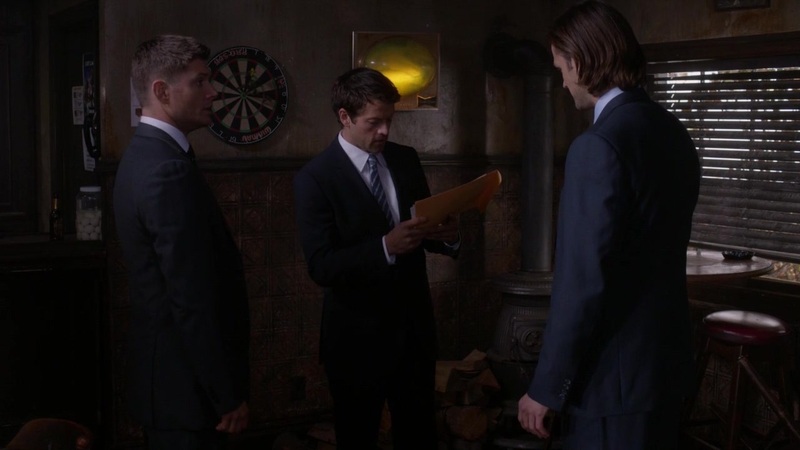 At least Cas is back to fighting form, though he’s doing it with stolen grace. I guess he learned a thing or two from the Winchesters in his time knowing them, considering how good he was at lying and manipulating his captor in the face of torture. But can even he take on an angel as powerful as Gadreel? Especially when he’s got Metatron backing him? And what’s he going to think about Dean’s choice, with how much it’s cost them? 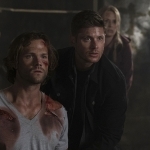 Can Sam forgive his brother, once he’s made aware of what a terrible situation Dean put them all in? Like I said, it’s going to be a long winter hiatus as we’re left with our thoughts and painful memories. Everything’s changing, and not for the better.